sand and surf! This beach has it all! 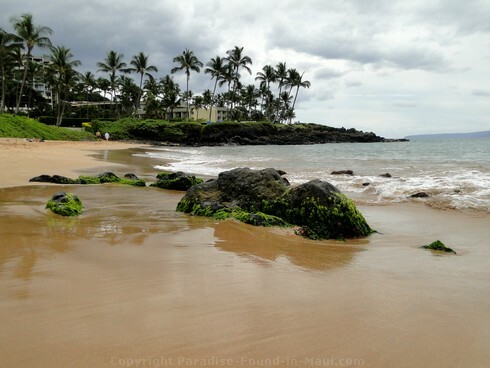 Backed by palm trees, perfect white sand, gorgeous island views - Wailea's Ulua Beach has it all. 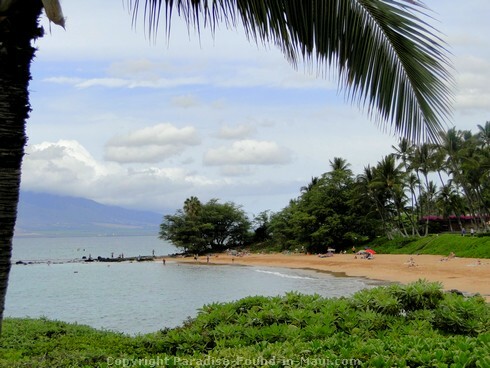 This is one of the best beaches in Maui for snorkeling, a great spot for swimming and positively glorious for simply sunning yourself in the gentle island breeze. Get the best deals on activities, tours, and more! 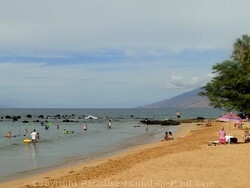 Ulua Beach is often called one of the best beaches in Maui for snorkeling due to the abundant coral around its rocky points. Sea turtles are also known to frequent the area, so if you dream of seeing one in the wild, you just might get your wish! If you come here for the snorkeling, then mornings when the wind and waves are calm will be your best bet. In the afternoons the wind and waves tend to pick up, often making the water too cloudy to see much. 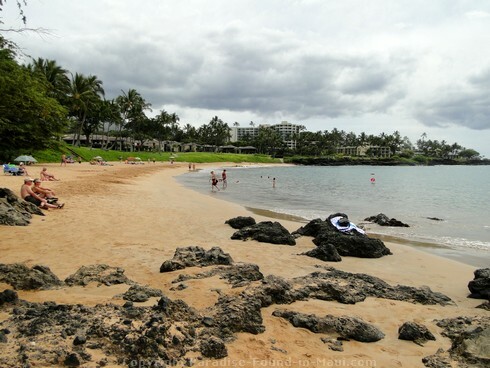 If you've had your fill of Maui snorkeling, this beach is also known to be great for swimming. The Pacific Whale Foundation runs their free coral reef naturalist program at their info station here at Ulua Beach. Learn about the fish species found here, how you can protect the reef as you explore and more! For current information on hours of operation, you can telephone them at (808) 249-8811 ext. 1. 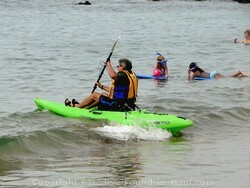 We saw tons of people heading out on ocean kayaks, and having fun with stand-up paddleboarding too! 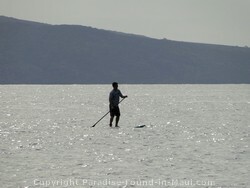 Would you believe the guy who is stand-up paddleboarding in the picture was actually extremely far out in the ocean? I had to use my zoom lens to grab that pic. Stand-up paddleboarding so far out is definitely not for the likes of me - I'd probably end up dinner for a shark if I ever tried that! If you've never gone stand-up paddleboarding before, but want to learn, book yourself some fun lessons here. As for kayaking on the ocean (which is SO much fun! ), I highly recommend the safety and security of having someone experienced to go with you, so check this out. In the afternoons when the waves pick up, boogie boarding can be a blast here! Have you tried it? If not, you really ought to give it a go - boogie boarding was so much fun that it made me feel like a kid all over again! Another activity that this beach is known for is scuba diving. According to Maui Dive and Surf Magazine, there's a good chance of seeing not only sea turtles, but mantas and squid if you go at night. For more scuba diving and Maui snorkeling tips, you can pick up this free magazine at the Maui Dive Shop. Of course, if you're like me and are NOT rich and famous, click here for a much more affordable way to get an introduction to scuba diving off one of Maui's best beaches. 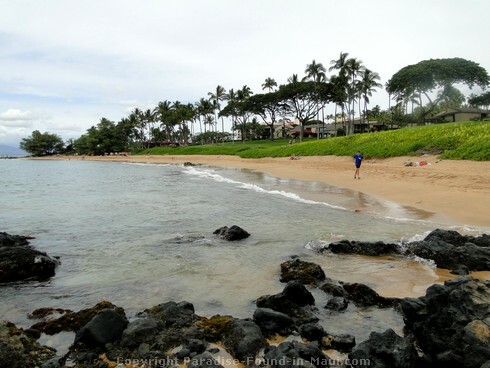 Ulua beach is also one of the best beaches in Maui if you like to roam! 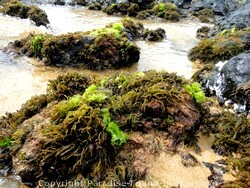 There are some really cool tide pools at the north end of the beach where we were lucky enough to see a squid! Take a stroll in the surf to the north, and you'll soon find yourself on Mokapu Beach, which has a lovely wooden walkway. If you keep going past Mokapu, you'll be on a long stretch of sand known as Keawakapu Beach. All this makes for a really nice walk, and would be especially nice at sunset! 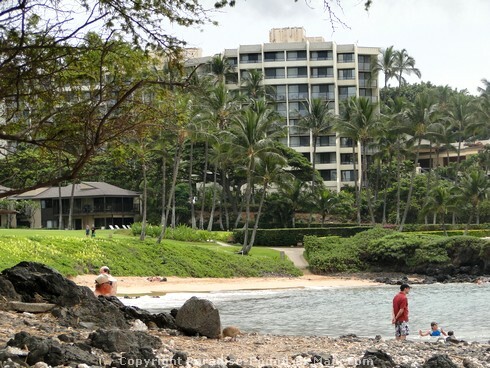 The Wailea Elua Village vacation rental condominiums are located right behind the beach, and the 4-star Wailea Marriott is a short stroll away from the south end of the beach. There are restroom and showers located next to the parking lot. There are signs warning of the potential for high surf, sudden drop-offs, slippery rocks, strong currents, sharp coral, dangerous shorebreak and portuguese man-o-wars. Since there are no lifeguards at this beach, you'll have to use your own best judgment as to the safety of entering the water. That being said, this beach has a good reputation as a swimming beach, and is a popular family beach as well. When we've been here, the water was perfect - so I'd say odds are in your favour that if you go here, you'll be pleased with the conditions. If you're driving along Wailea Alanui Drive, the turnoff to the Ulua Beach parking area is on the makai (ocean) side of the road, just a little ways north of the Shops at Wailea. Across the road (inland) from the parking lot turnoff you'll see a gated driveway for the Wailea Fairway Estates. You'll know you're on the correct road because you'll see a tall green sign that says "Welcome to Ulua/Mokapu Beach." 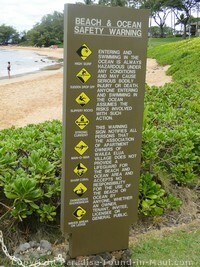 The parking lot is shared by Mokapu and Ulua Beaches. Mokapu Beach is on the right, Ulua is on the left. 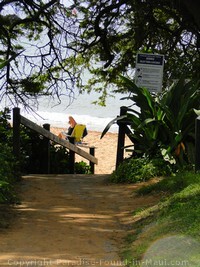 Go to Homepage from Ulua Beach, One of the Best Beaches in Maui!